Don’t Call Her a Designer!!! 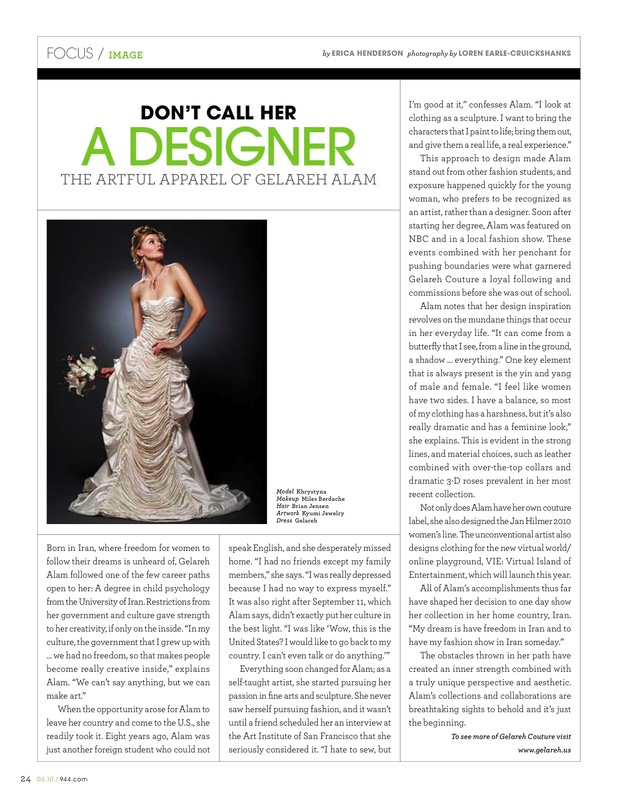 This is the article I wrote for April’s issue of 944 Magazine on Gelareh of Gelareh Couture. New article on Sasha Maks for the March issue of 944 Magazine! Sasha Maks is a fabulous vintage reseller. She has the most mouth-watering vintage jewelry including pieces from the likes of Lanvin, Chanel, and Lagerfeld.